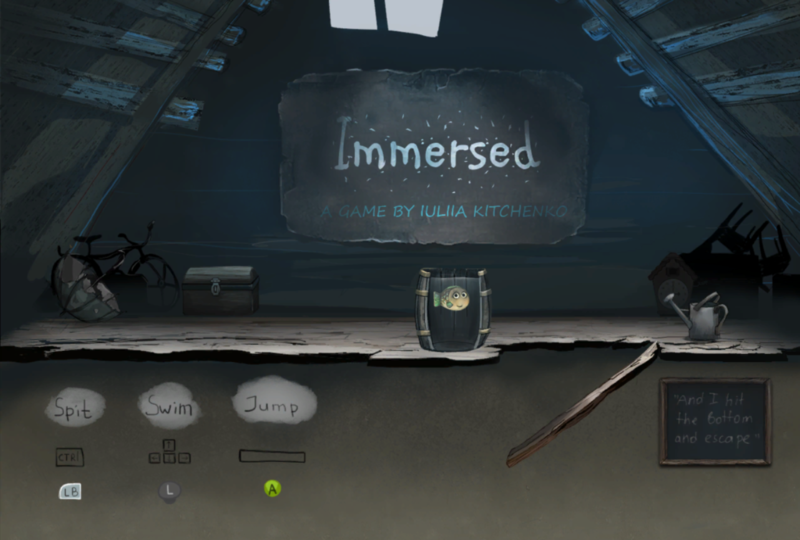 In Immersed, you play as a little fish that finds herself trapped inside a barrel in the attic. 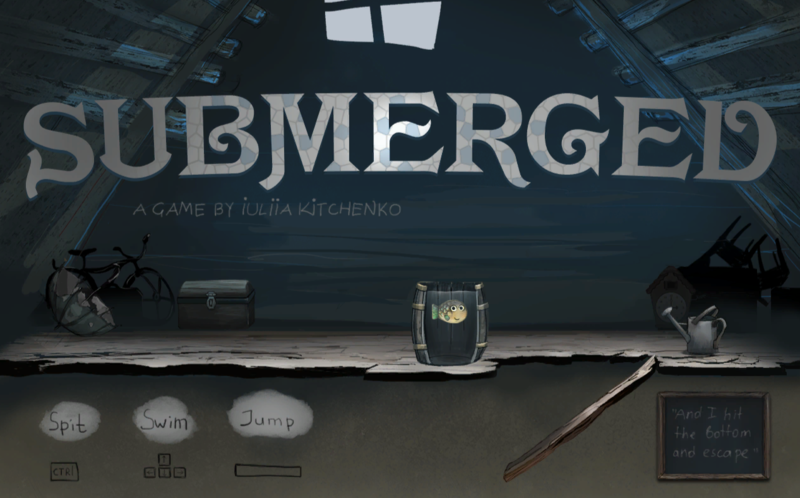 Jumping between vessels, water pipes and puddles, try to solve curious puzzles and find the place where the fish belongs. Don’t put the fish out of water or you’ll make it sad! A few minutes of puzzle arcade adventure gameplay. Pleasing and mildly realistic fish swimming mechanics. Lovingly crafted characters and environment. Designed, drawn, coded and produced by one girl, under Pixelles Game Incubator II. Special thanks to: Tanya Short, Rebecca Cohen Palacios and all the Pixelles. Immersed will be used as a base for a full-scale game developed by the complete team of Microbrain Games. Subscribe to our newsletter to show your appreciation and support! The game was initially released under the name of Submerged. It was later renamed to avoid collision with a bigger title published shortly after under the same name. A family of game developers devoted to making games in the little time that we've got. We strongly believe that professionalism and sincerity can come together. Subscribe if you like us! We will send rare (monthly at most) updates about our current and upcoming games.